Life is about meeting people, about trajectories that follow one another or cross paths. Life is a path. I dedicate this photo to Emilie who has looked after my blog since it started. I record my thoughts, but it is Emilie who presents them so beautifully. She gives them titles. She also searches through my many photos, sometimes cropping one for better effect. And she gives my writing a second life on the social networks. Emilie is now taking another path, and I’ll miss her. I’d also like to thank her for the quality of her work. I hope she enjoys the road ahead. 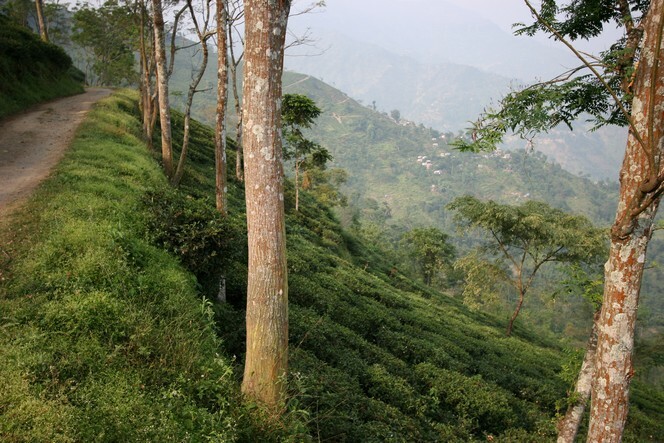 And I hope it is as beautiful as this one, which winds its way between the tea plants towards Darjeeling.